Rostra is the world leader in the design and development of add-on cruise control systems for vehicles equipped with an Electronic Throttle Control - commonly referred to as "drive-by-wire." Our leadership status in the aftermarket cruise control product category is the byproduct of decades of research and development in vehicle testing and software architecture with a focus on passenger vehicles. 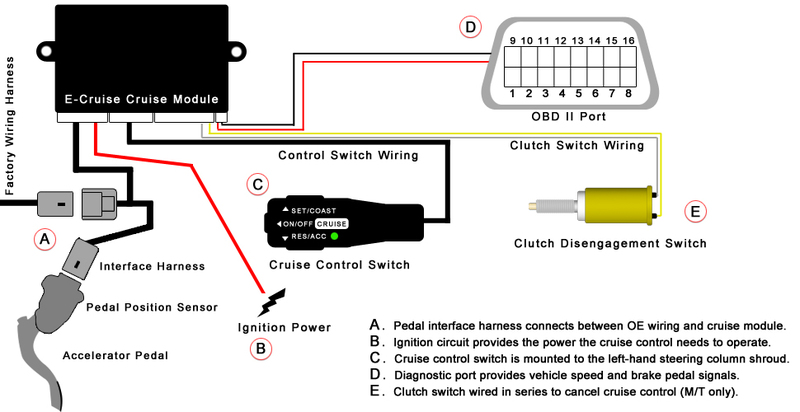 Add-on cruise control units for vehicles that are equipped with an Electronic Throttle Control System control the speed of the vehicle through the use of Rostra's custom E-Cruise Module, matched-fit accelerator pedal t-harnesses for a wide variety of vehicles, Onboard Diagnostic (OBD) port interface harnesses, and control switches designed to seamlessly blend into the steering column and dashboard environment. 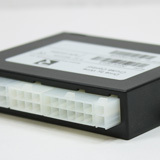 The E-Cruise Module is the proverbial "brain" of the entire system and with the assistance of the included accelerator pedal interface harness, intercepts the communication between the pedal position sensor and the vehicle' Electronic Control Unit (ECU). 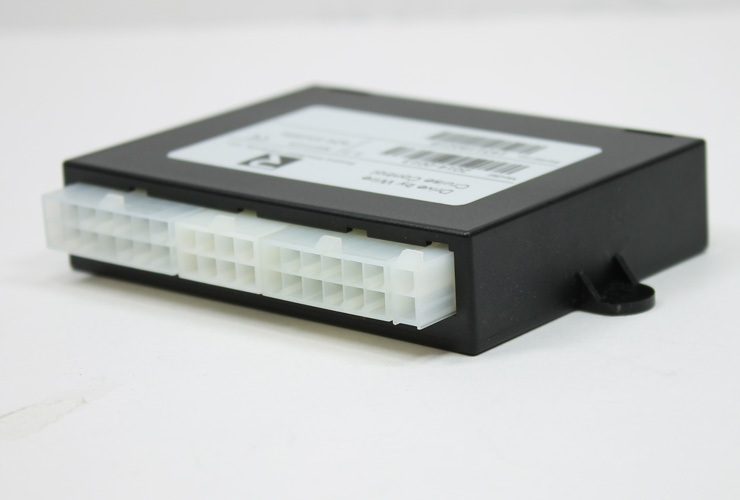 Through the use of the included OBD port connector, the E-Cruise Module constantly monitors vehicle speed and loading and instructs the ECU to open or close the electronic throttle actuator to hold a set speed. 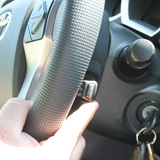 Once the cruise control functionality is cancelled either by using the Off/Cancel button of the included control switch, depressing the brake pedal or depressing the clutch pedal (for manual transmissions), the E-Cruise Module returns full communication to the accelerator pedal leaving the driver completely in control of manual speed adjustments. 1. We begin cruise control development by recording data from the vehicle's CAN bus using special software to determine which signals need to be sent to the ECU to control speed. 2. We then need to determine which E-Cruise Module best suites a particular application based on the signal that we need to send to the ECU when cruise control is active. 3. 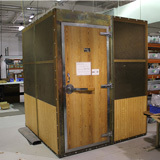 Once a vehicle-specific software package has been created, it is then written to the E-Cruise Module inside of a Faraday cage in order to reduce incidences of outside EMI. 4. Once the loaded software package has been verified in triplicate, we then test drive the vehicle to confirm that cruising speed holds between 31 and 80 MPH with minimal fluctuation. 5. When the cruise control has been determined to be operational within a strict set of parameters, it receives its sign-off from our staff and the control switch is permanently installed. Q: How long does it take to create a cruise control system for a specific application? A: The timing of our cruise control development is generally dependent upon the availability of vehicles for testing in our local market. 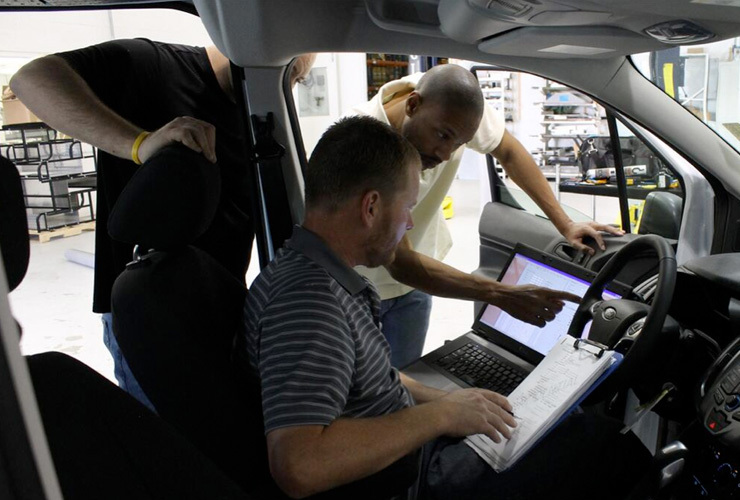 Normally a new cruise control system takes approximately 4 weeks to deliver after initial testing, creation of our installation instructions, software verification, and final validation on multiple trim levels of the same vehicle model. Q: Why should I buy an official Rostra cruise control system? A: At Rostra, the quality control built into our manufacturing processes is a great source of pride for us as a company. Our headquarters in North Carolina is an ISO 9001 certified and TS 16949 compliant manufacturing plant that submits to yearly quality control audits and implements changes based on audit findings. We add innovations to our manufacturing procedures at every chance we get in order to deliver a product on time that is free of defects. 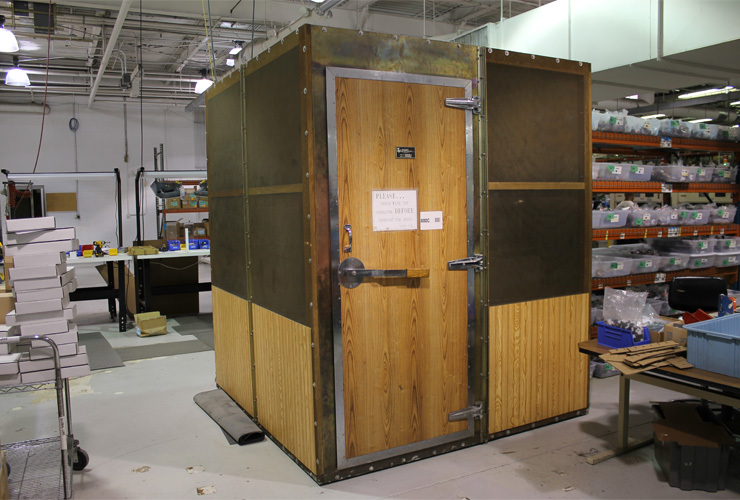 Because of this, we are so confident in our products that we offer a 3-year/36,000 mile guarantee. 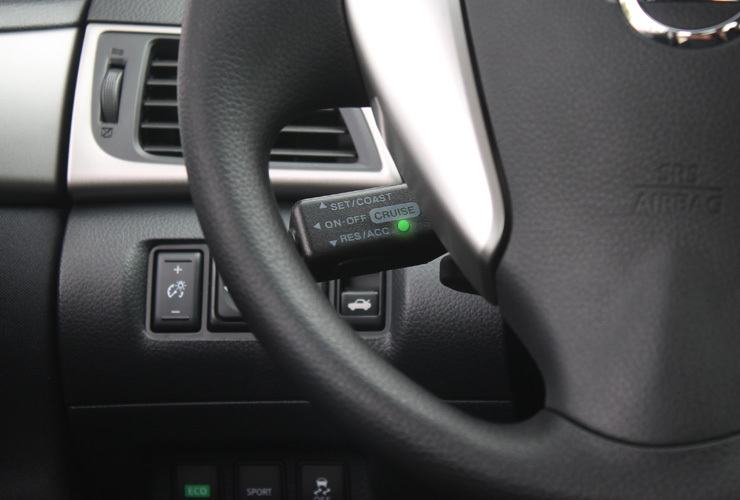 Q: Are Rostra's cruise control systems developed with DIY-type customers in mind? A: Due to the sensitive nature of low-voltage vehicle electronics, we always recommend a professional or experienced installer perform the installation of a cruise control system. Many of our installation kits include plug-and-play harnesses, but still require locating a low resistance chassis ground and true 12-volt ignition source for operation. The connections are required to be soldered for secure fitment. Connections that are not soldered can seriously damage the onboard computer. Q: Why should I not attempt the install of a "universal" electronic cruise control system? A: To begin with, most "universal" electronic cruise control systems are of suspect origin. Generally these come from obscure overseas suppliers with little to no regard for quality control in manufacturing, and are never actually validated for proper operation on vehicles in the domestic market. 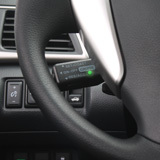 Likewise, due to variations in emission control systems and requirements from one country to another, these "universal" systems do not include the requisite software that allows them to properly "talk" to your vehicle's computer. Commands issued to the network from these systems typically flood the onboard computer with malformed data which results in what is known as a "packet collision", or a condition in which the information sent over the network confuses the original equipment computer. This can have the effect of decreasing your gas mileage - the exact opposite of what a cruise control should do - and can even causes delays in vehicle emergency systems. Q: How should I go about selecting a cruise control manufacturing supplier? A: The short answer - question everything. Has the company been manufacturing cruise control systems for vehicles equipped with Electronic Throttle Control systems for many, many years? Does the company design every piece of the installation kit including accelerator pedal harnesses, control modules, control switches, and software themselves? Are their items manufactured and tested on vehicles in the United States before sale, or are they purchased in bulk from overseas and distributed wantonly? Do they employ multiple hardware and software engineers to develop these systems? Is technical support provided by the individuals that actually designed the cruise control you purchased? When you call them, can they detail the ways in which the cruise control system interacts with your specific CAN bus system? Do they maintain a quality audited manufacturing plant, or are they precariously assembling these items in their home's garage? 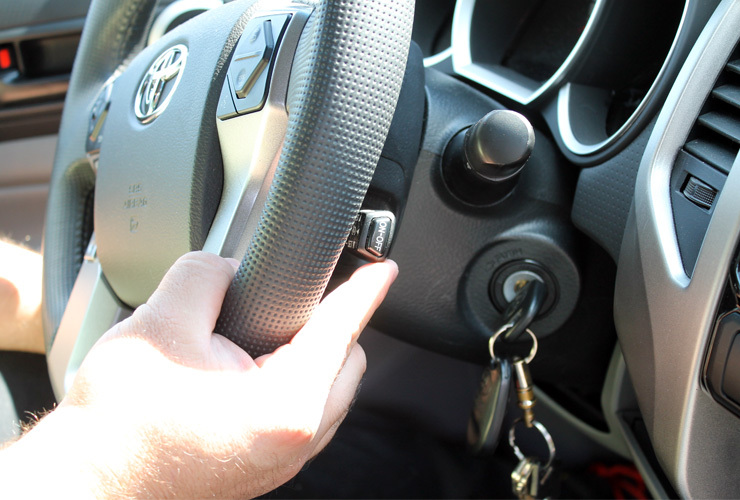 Q: What happens if I am installing a cruise control system and cannot get it to function? A: We are pleased to offer technical support to anyone who has purchased our products. Our Technical Services department is available Monday-Friday from 8:00 a.m. to 6:30 p.m. EST to assist. Please note that we do require callers to register for a Technician Identification Number (TIN) before being connected to a representative. Click here to register for your TIN number now! Also, please keep in mind that we have a growing library of installation videos available on our YouTube channel that show in great detail the various steps taken to install a cruise control system. 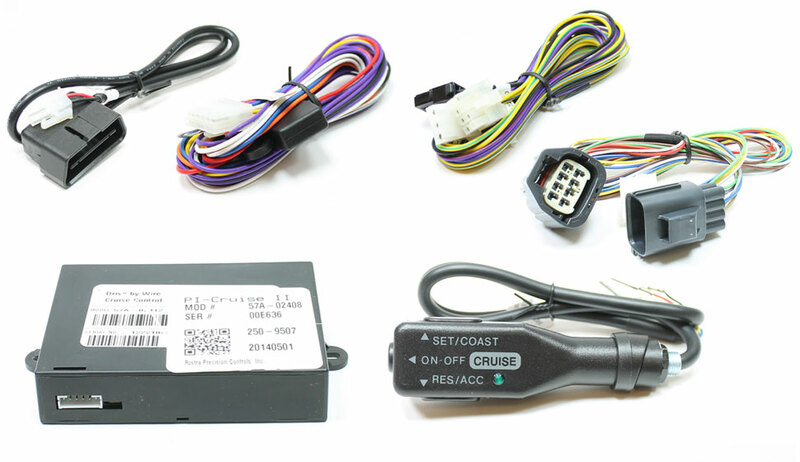 Q: Where can I find a complete listing of the cruise control system Rostra manufactures? A: At the top of this webpage, our Vehicle Search will allow you to view the products for a specific car based on its year of manufacture, make, and model. Likewise, you can visit our Global cruise universal cruise control page, our drive-by-wire cruise control page, our custom pedal interface cruise control page, or our custom pedal bypass cruise control page. As always, a listing of our latest cruise control systems is available as a PDF download via our Quick Reference Guide. For safety's sake, please remember that a universal electronic cruise control systems cannot provide the same level of safety and convenience that a custom-designed cruise control system can.